The formal permission to carry out an activity is called license. It is a documented written authority by an owner or licensor to allow another party the licensee to engage in a specified activity that is otherwise not allowed to be carried out by others. The license issued by a licensor can be revoked at any point in time. This is a legal document and the terms and conditions mentioned in it are enforceable by law. The license gives the licensee the authority to use, produce, copy, sell, distribute or carry out any other process or procedure that is the property of another person or entity called the licensor. Once a license has been awarded to a person or entity he can only practice what is mentioned in the license and not beyond. The licensee has no right to forward this permission to any other party. It is a non-transferable authority. What is a license application form? 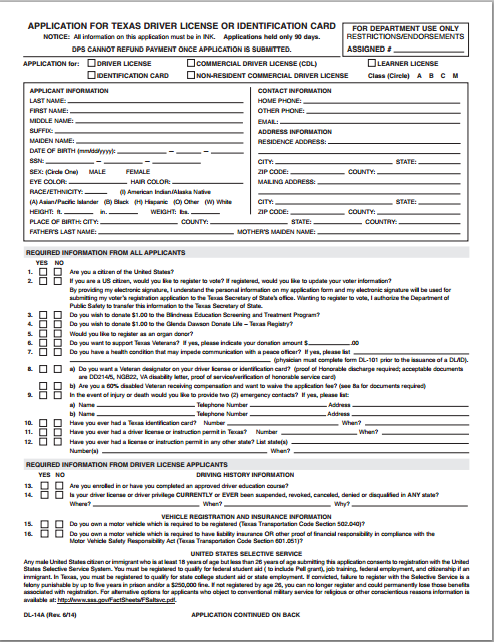 Any company or person, who is looking to get a license for any task or process, need to file a license application form. This is a pre-written document that requires the applicant to provide some information regarding its personal data and operational functions. According to the nature of the license being sort, the potential licensee is also required to furnish certain documents and evidence to support his license application form and provide validity of the information provided. Based on the information and data provided on the form, the licensor analyses the credibility of the applicant and decides whether or not the entity meets the licensing criteria.